The bank issued its first banknotes in 1694, although before 1745 they were written for irregular amounts, rather than predefined multiples of a pound. It tended to be times of war, which put inflationary pressure on the British economy, that led to greater note issue. 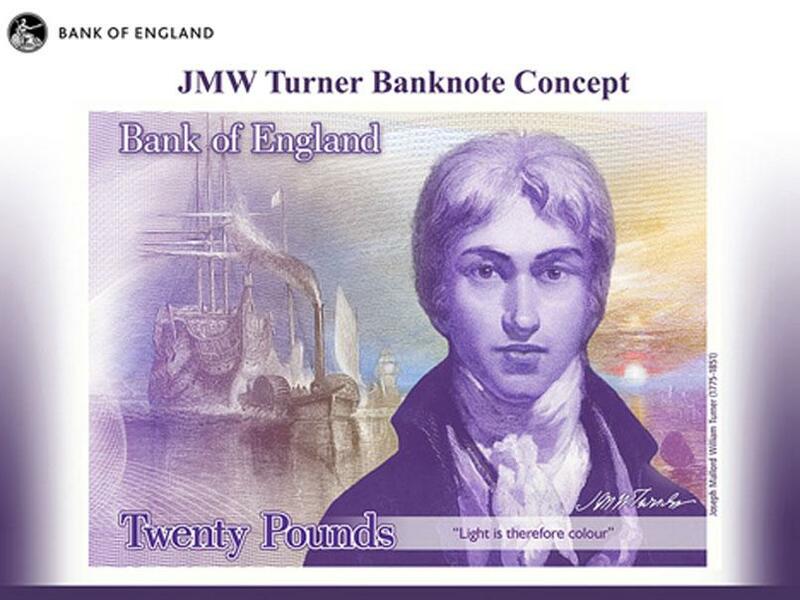 In 1759, during the Seven Years' War, when the lowest-value note issued by the Bank was £20, a £10 note was issued for the first time. In 1793, during the war with revolutionary France, the Bank issued the first £5 note. Four years later, £1 and £2 notes appeared, although not on a permanent basis. Notes did not become entirely machine-printed and payable to the bearer until 1855. The Banking Act 2009 (c 1) is an Act of the Parliament of the United Kingdom that entered into force in part on the 21 February 2009 in order, amongst other things, to replace the Banking (Special Provisions) Act 2008. The Act makes provision for the nationalisation of banks, amends the law on bank insolvency and administration, and makes provision about the Financial Services Compensation Scheme. It also makes provision about the regulation of inter-bank payment schemes (e.g. BACS), amends the law on the issue of banknotes by Scottish and Northern Irish banks, and makes other miscellaneous amendments to the law on banking. Scottish banknotes are unusual, first because they are issued by retail banks, not central banks, and second, because they are technically not legal tender anywhere in the United Kingdom – not even in Scotland. 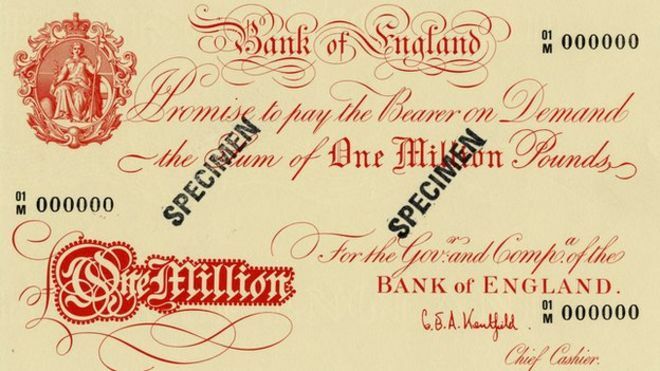 As such, they are classified as promissory notes, and the law requires that the issuing banks hold a sum of Bank of England banknotes or gold equivalent to the total value of notes issued.The fact that the notes are not defined as legal tender means that they are not withdrawn from circulation in the same way as the Bank of England notes, which cease to be legal tender on a given date. Instead the Scottish banks withdraw old notes from circulation as they are banked. Any notes still in circulation continue to be honoured by banks, but retailers may refuse to accept older notes. The pre-decimal fourpence (4d), sometimes known as a groat (from Dutch grootpennig = "big penny") or fourpenny bit, was a coin worth one sixtieth of a pound sterling, or four pence. The coin was also known as a joey after the MP Joseph Hume, who spoke in favour of its introduction. It was a revival of the pre-Union coin. The pound is the currency of Guernsey. Since 1921, Guernsey has been in currency union with the United Kingdom and the Guernsey pound is not a separate currency but is a local issue of banknotes and coins denominated in pound sterling, in a similar way to the banknotes issued in Scotland, England and Northern Ireland (see Banknotes of the pound sterling). It can be exchanged at par with other sterling coinage and notes (see also sterling zone). For this reason, ISO 4217 does not include a separate currency code for the Guernsey pound, but where a distinct code is desired GGP is generally used. 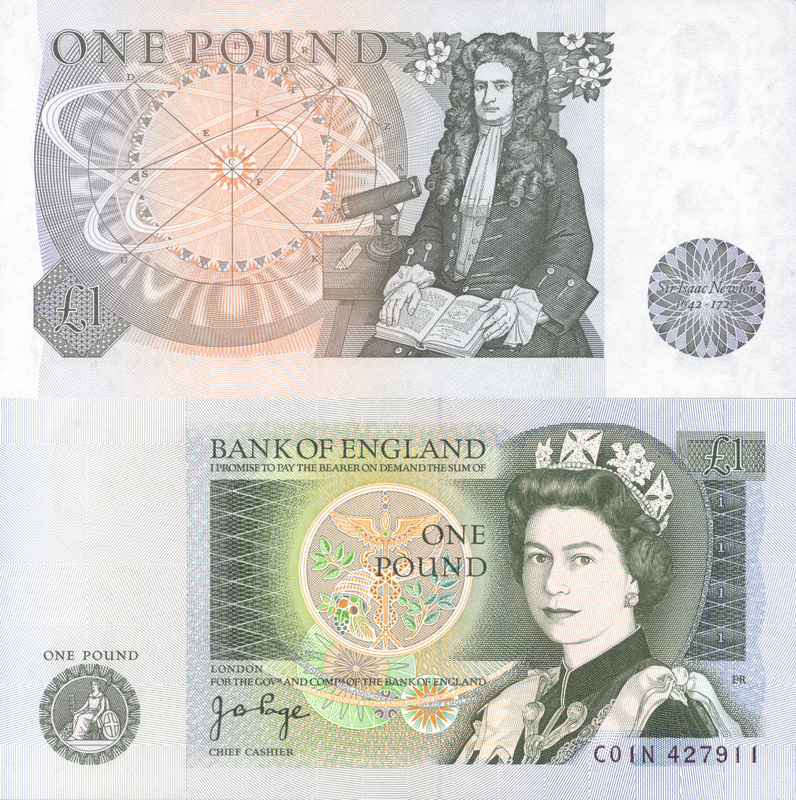 For this reason, ISO 4217 does not include a separate currency code for the Jersey pound, but where a distinct code is desired JEP is generally used.Both Jersey and Bank of England notes are legal tender in Jersey and circulate together, alongside the Guernsey pound and Scottish banknotes. 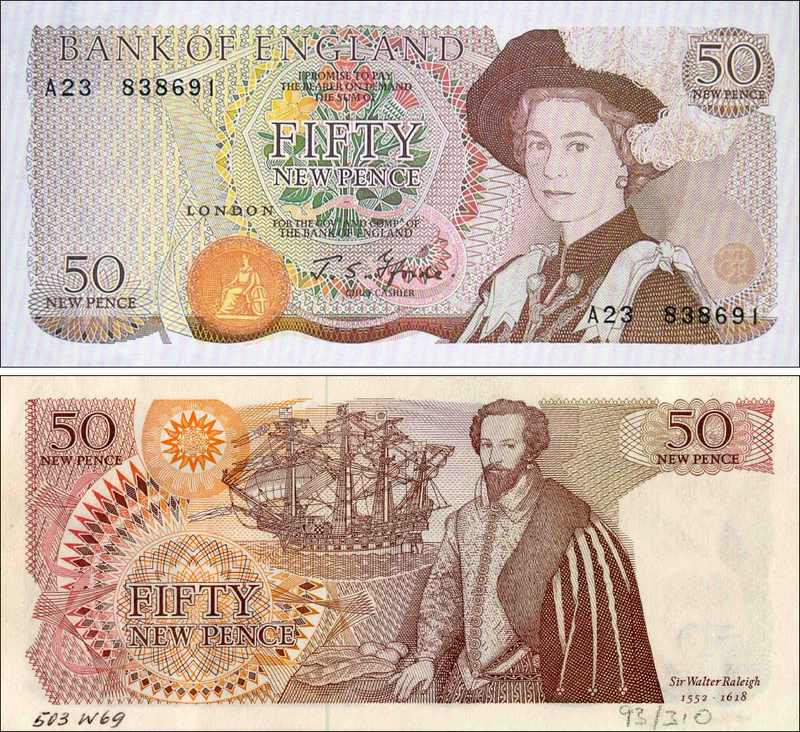 The Jersey notes are not legal tender in the United Kingdom but are legal currency, so creditors and traders may accept them if they so choose. Landmarks of Britain is a series of silver bullion coins produced by the Royal Mint in the United Kingdom. The first coin was released in 2017 and features a design of Big Ben previously used on a £100 coin released in 2015. The second and third coins, both released in 2018, feature Tower Bridge and Trafalgar Square. The next coin is expected to portray Buckingham Palace. The coin has a maximum mintage of 50,000. The same designs appeared on a four coin proof set in 2014, these had trichromatic colour-printing and had a mintage of only 3,500 sets. The Quarter sovereign is a commemorative British coin denomination whose introduction was announced by the Royal Mint in January 2009. Comprising 2 grams of 22 carat or 0.9170 fine gold, the 13.5 mm diameter quarter sovereign is the smallest modern legal tender British gold coin. It is a quarter of the weight of a sovereign with a AGW of 0.05896 troy oz. As of 2019 it continues to be minted.